Adrian Peterson knows how most people see running backs in their 30s. So he asked Washington Redskins legend John Riggins how he dealt with it. Peterson is confirming to everyone else in the NFL he’s still got it. His 236 yards are good for fifth in the league, only three players have more than his three touchdowns and the 33-year-old’s contributions are one of the biggest reasons the Redskins are 2-1 at their bye week. Washington went into training camp hoping second-round pick Derrius Guice would take the majority of the carries and work in tandem with third down back Chris Thompson. Guice tore his ACL in the preseason opener, the Redskins sought an answer and signed Peterson, who has so far been better than expected after injuries cost him much of last season. Peterson came advertised as one of the most prolific running backs in history, but someone who hadn’t put up 1,000-plus yards since 2015. His workout — where he gave the Redskins no choice but to sign him over Jamaal Charles and younger back Orleans Darkwa — was the first indication Peterson could still run “All Day” as his nickname suggests. His 26 carries for 96 yards and a touchdown in the opener at Arizona gave way to a rough Week 2 when Peterson had just 20 yards on 11 carries behind a banged-up offensive line. 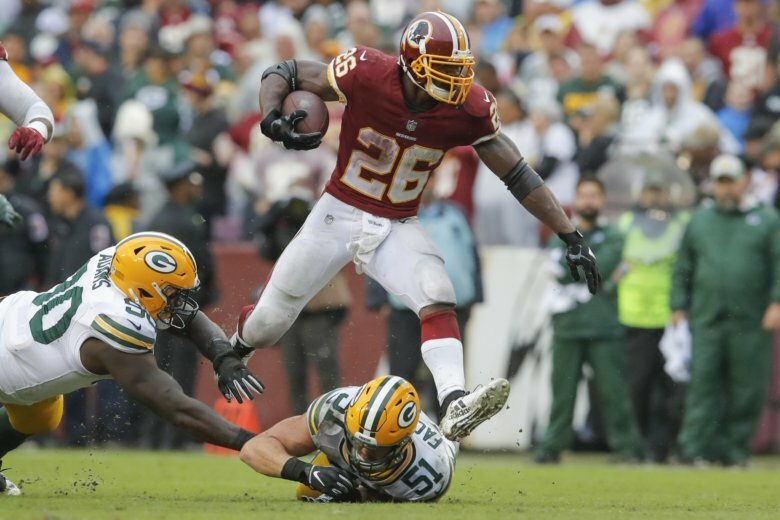 Running for 120 yards and two TDs on 19 carries Sunday in a blowout of Green Bay didn’t just revive hope in Peterson, but opened up the possibility he could be the Redskins’ workhorse all season. Even the best running backs’ bodies break down typically at this age, and Peterson looked as if he was no different. He tore the meniscus in his right knee and strained a groin muscle in 2016 and had a season-ending neck injury in 2017. The fact Peterson was off from last November until the Redskins signed him is a testament to his ability to stay in shape and reinvent himself. Only Peterson knows how he feels 141 regular-season and playoff games into his career. As he continues to climb the all-time rushing list — he’s 10th and 227 yards back of Tony Dorsett for ninth place — he thinks less about the players he’s passing and more about how to prove doubters wrong about him. AP Pro Football Writers Dave Campbell and Howard Fendrich contributed.